Planning a local move can be stressful. Hiring the wrong moving company would result in a nightmare. 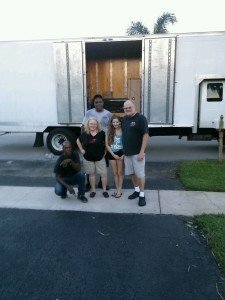 Top Notch Movers Inc, a premier local moving company in Fort Lauderdale, goes out of their way to make sure you get the Top Notch treatment, providing you with a great moving experience. Our company is built on providing quality customer care, with fairness, honest pricing, and a focus on customer satisfaction. We give special attention to every detail by listening to our customers’ needs. 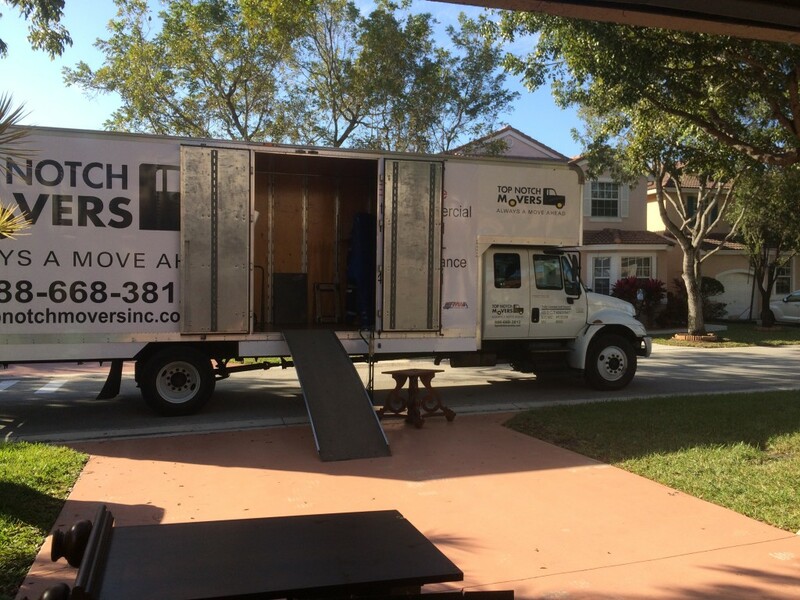 You’ll feel confident that your move is in good hands when you make Top Notch Movers your local mover in Fort Lauderdale and South Florida areas. Free Estimates: Your moving representative will physically come to your home and prepare an estimate within your budget constraints. Flexible Pricing Options: Consult your estimator regarding which option is best for you. Flexible Payment Options: You can elect to pay for your move with a certified check, cash or with a credit card. Move Coordination: You will have a dedicated point of contact that will assist you with planning your move, packing, loading, and delivery dates. Expert packing, loading, and hauling teams who are trained and experienced service providers. Excellent customer service should you have any questions or changes throughout your move. An expansive network of agents, drivers, and employees to manage your move. 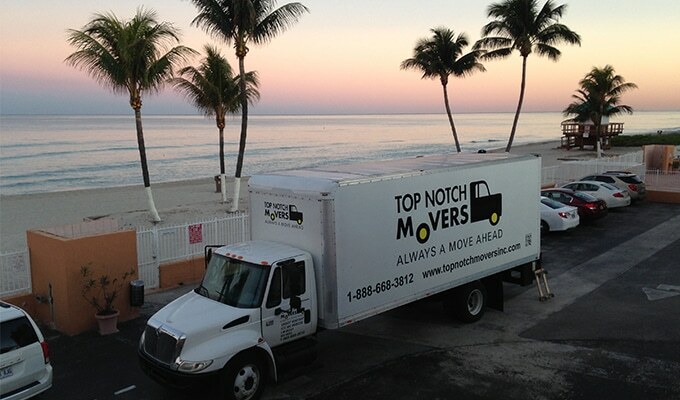 Top Notch Movers is a leading local moving company in Fort Lauderdale with a long list of satisfied customers. Click to see our customer’s testimonials. Our professional and personal service will make your move easy and smooth, it is the best choice you can make regarding your move! Save yourself from the stress of moving to a new place by hiring a reliable service provider. From pick-up point to your new location, from packing your priced belongings to unloading them, Top Notch Movers does all the work you. Here’s what we can assure you – from the biggest furniture to the tiniest breakable item, everything will be transferred to your new home, safe and undamaged. Come to think of it, when you move to a new location within your city, you still have to keep track of the laundry list of moving pieces. How much gas will you have to pay? How long will you need to rent a van? How much cost will you spend for packing supplies? Where to get them? What about insurance? You will need to think of tons of tasks before you transfer. Top Notch Movers will simplify everything for you by providing a custom quote that captures the entire cost of your moving needs in one place. One thing about moving on your own is that everything will drive you crazy. This means you have to secure packing materials and pack your belongings on your own. And when you run out of boxes, bubble wrap and packing tape, you have to run back to the store and buy more. Apart from this, you still have to load your stuff, have a long perilous drive and unload again. Top Notch Movers will not only take care of all the grunt work, we build a feasible plan before your move which is based on your needs. With years of experience, we make moving as smooth as possible. Being the experts in the moving and relocation industry, we specialize in specific areas in the city, state, and country. Moving from one place to another is our business and so we pride ourselves on being knowledgeable in navigating unfamiliar roads and places. This means follow specific roads and make sure that everything arrives in that new location, intact and on time. More importantly, we won’t leave your belongings until everything is properly unloaded, brought inside your home and checked into pieces. Underscoring all these benefits leaves you with one simple truth: Top Notch Movers gives you peace of mind. You ought to know that physically transporting your possessions is not the only job you will have to accomplish in your move. There are still a number of issues you’ll have to attend to such as job, school, logistics, and facilities. At Top Notch Movers, we allow you to focus on important errands rather than worrying about your belongings. As the experts, we handle what we do best…moving your personal or business belongings. In a nutshell, don’t just rely on do-it-yourself solutions or you will just end up making a costly mistake. Hire Top Notch Movers and you are in good hands. No headaches! No Stress! Top Notch Movers is a professional and experienced moving company, and we have your back. As Fort Lauderdale local movers, we love offering our clients exceptional customer service that is unparalleled by other moving companies. Our ultimate goal is customer satisfaction and if you are not satisfied, neither are we. Call us today for a free estimate and quote! Soooo I use yelp for everything but I’ve never made a post until now. I was in need of movers for a quick move and I’m so glad that I called these guys! Tony and Miguel were awesome! I was given an approximate time of 9-10 am, so I was surprised when I got a call at 8:45 am saying that they would be at my storage unit in 10 mins. They worked hard, were very professional and were in and out after moving and putting together my two bed sets, dining table and entertainment center (in addition to moving my couch and many other various items in my new 3 story townhouse)! Completely stress free! Thanks guys!